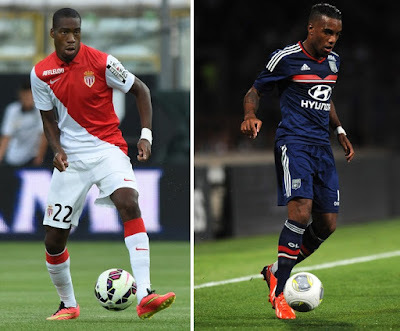 Arsenal transfer news 2015: Premier League side Arsenal are closing on two deals of Geoffrey Kondogbia and Alexandre Lacazette from AS Monaco and Lyon, respectively. Premier League side Arsenal are closing on two deals of Geoffrey Kondogbia and Alexandre Lacazette from AS Monaco and Lyon, respectively. Geoffrey Kondogbia who has been on Arsenal’s radar for the past few months is now going to leave the French side as the reports revealed that he is planning for a Premier League move. Arsenal boss Arsene Wenger has told that he will be spending this summer on top players, however the midfielder is not a World Class player but has the potential to become one of the best. The 22-year-old has also been eyed by several other sides including Manchester United. Meanwhile, Lyon striker Alexandre Lacazette will be joining a Champions League side as the president of Lyon told last week that Liverpool cannot afford his transfer fee. Lacazette has also been targeted by Chelsea boss Jose Mourinho after his impressive goal scoring record for the Ligue One side. Paris Saint Germain are also reportedly in the race. The Express reported that the French boss will seal the deal of these two highly rated French stars for a fee around £65million. While according to talkSport, Yohan Cabaye is also likely to move back to Premier League this summer after his struggling season at PSG.